Bradley products are installed close to our Bradley Corporation Headquarters! St. Mary Parish School in Menomonee Falls, WI founded in 1905 has nearly 400 students. Kids across America are now back in school and it's important to keep in mind that hygiene in restrooms is essential with the cold season approaching. 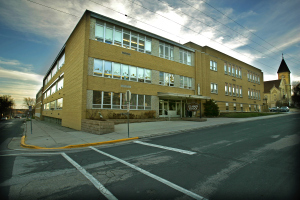 In 2004, St. Mary Parish School began their renovation project. 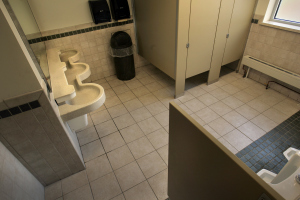 They had issues in the past of keeping restrooms clean and they wanted to reduce their concerns by providing students with a sanitary restroom and essentially a place that looks welcoming. Also, they wanted to reduce the stress on parents who worried about their children's risk of using dirty, old restrooms. Their solution was to include Bradley products. The new restrooms for the students include the three-station SS-Series Express Lavatory System which have provided durability and reduced maintenance for the school. It is ideal for students because they are able to quickly wash their hands between classes and before lunch. In addition to the new lavatories, Mills® Bradmar toilet partitions and other accessories were specified to complete the restrooms' transformation. Dave Ciepluch Director of building & ground at St. Mary Parish says he encourages facility managers to go the Bradley route. "The benefits of a group handwashing system far outweigh installing individual wall-hung china sinks. The continuous bowl is easier to clean because there's only one area to scrub, there's less mess because the built-in soap dispensers are right over the bowl, and they're safer because there's no water on the floor." says Ciepluch. Overall Bradley bathrooms for education facilities are a better long term solution. Good luck to all the students back in school this September!